It can be quite a daunting task to supply your staff with a new uniform, even if they've had a uniform for a while and you are looking for something new. We also have many years of experience supplying customers who are re-branding their organisations, such as housing groups. 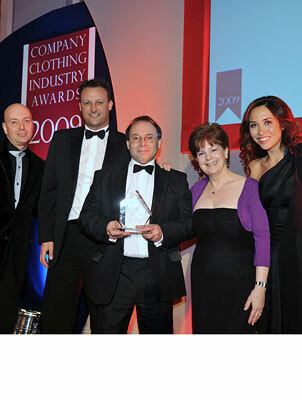 We can supply items from tailoring and workwear down to specially designed scarves and ties, and have received a top industry award for our service (see news section). Our Company has always had a measuring and fitting service for our customers from 1 to 1500 wearers. Depending on the number of people and your location, we may be able to supply this service for you. Our measuring staff are also very experienced seamstresses and will undertake any fitting alterations that we deem necessary before delivery. Where someone needs a product outside the normally available size range, we have a cutting and sewing facility in-house to make special size garments such as blouses and ladies trousers & skirts. If you want to find out more about how we can take away the headache of getting your staff into a new uniform and aftercare, please contact us to discuss what we can do for you.